The Siretta 3G and 4G routers are high performance industrial routers at a great price point. 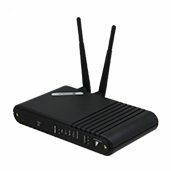 The high quality build and robust metal enclosures ensure that these routers will be at home in any environment. Reliability of connection and network keep-alive features are also a strong point. The Siretta MICA low cost, compact size 3G / UMTS router series is a range of high speed industrial cellular routers in a compact enclosure. The MICA series provides industrial M2M grade reliable, secure and high speed wireless connectivity. The Siretta MICA low cost, compact size 4G / LTE router series is a range of high speed industrial cellular routers in a compact enclosure. 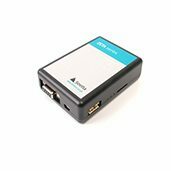 The MICA series provides industrial M2M grade reliable, secure and high speed wireless connectivity. The Siretta QUARTZ 3G/UMTS router series is a range of professional grade, high speed industrial cellular routers. The QUARTZ series gives reliable, secure and high speed wireless connectivity. The Siretta QUARTZ 4G/LTE router series is a range of professional grade, high speed industrial cellular routers. The QUARTZ series gives reliable, secure and high speed wireless connectivity.